After 24 years of marriage, Tom and Renata call it quits so that each can unpack a complicated past, and arrive at an even more complicated future, in this alternatingly harrowing and comedic ensemble drama opening September 25 at Chicago Dramatists. Previews begin September 23, at Chicago Dramatists, 1105 W. Chicago Ave.
“Dead Children” marks the company’s first full-length foray outside of their home venue, and the fifth world premiere collaboration between playwright Robert Tenges and side project Artistic Director Adam Webster. The partnership began with 2005’s “Strangers Knocking,” which won accolades from the Chicago Tribune’s Chris Jones and Chicago Sun-Times’ Hedy Weiss, ending up on each columnist’s “Best of the Year” lists. Webster and the company went on to produce Tenges’s “People We Know” garnering a 2010 Best New Work Jeff nomination, as well as “Elsewhere” in 2013 and “Whatever” in 2015, all to critical acclaim and numerous “Best of” lists. “Strangers Knocking” was subsequently produced Off-Broadway in 2007 by The New Group, where Tenges also developed “Dead Children” and “Whatever,” before receiving world premieres at the side project. The cast of Dead Children will feature Kirsten D’Aurelio (marking her fourth Tenges/Webster collaboration), Elizabeth Bagby and Shawna Tucker (each back for their second Tenges/Webster partnering), and three actors making their side project debut: Barbara Roeder Harris, Victoria Gilbert, and Erik Wagner. The production team includes long-time Webster co-collaborators Stephen Gawrit (sound design) and Becca Jeffords (lighting design), as well as second-time collaborators Milo Bue (set design), Rachel Sypniewski (costume design), and Ashley Osbourne (technical direction and props master). Kate Reed will stage manage. 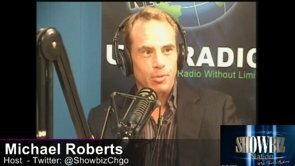 Robert Tenges (Playwright) is a playwright and musician. His play “Strangers Knocking” was produced by the side project in 2005 earning “Best of the Year” honors from the Chicago Sun-Times and Chicago Tribune, and subsequently presented Off-Broadway by The New Group in 2007. In 2010, the side project produced his play “People We Know,” which went on to receive a Jeff nomination for Best New Work. His play “Elsewhere” was developed and workshopped Off-Broadway at The New Group in 2012, under Ian Morgan’s direction, and was given a full production in 2013 by the side project, under Adam Webster’s direction. His play “Whatever” was produced by the side project in 2015, directed by Adam Webster, and was featured in the Chicago Tribune’s “Best of 2015” feature in The Theater Loop. “Dead Children” was workshopped by The New Group in 2014, given a public reading by Chicago Dramatists in 2015. His one act play “Three Hymns of Apathy” was produced by the side project in 2008 (dir. Brandon Ray). He has also written English-language adaptations of Chekhov’s“Uncle Vanya” and “The Three Sisters,” both of which were produced by Chicago’s LiveWire Theatre in 2004 and 2005, respectively. His play “Found” was awarded the 2004 Illinois Arts Council Playwriting Fellowship and was workshopped and read at Victory Gardens Theater, and subsequently presented at Ensemble Studio Theatre and the Abingdon Theater, both in New York. Robert is a member of New River Dramatists, an artist with The New Group, and was named a Resident Playwright at Chicago Dramatists in 2014. Adam Webster (Director) is the Founding Artistic Director of the side project for which he has directed more than 30 shows, produced more than 80 and written adaptations of Lysistrata and Maggie: A Girl of the Streets, various original 10-minute plays, and two full-length solo shows, which he also performed. His writing has also been featured at local theaters including Prop Thtr (as part of RHINO Fest), Victory Gardens (as part of the One-Minute Play Festival and for WBEZ), Three Cat, New Leaf, LiveWire, and Tympanic Theatre, as well as readings and productions in Los Angeles, New York, Portland, Oregon, and internationally. Prior to moving to Chicago, Adam founded the Rodney & Myrtle Acting Troupe in Portland, Oregon, for which he produced 7 shows (directing three) and co-founded the Active Culture Theatre Group in Los Angeles, for which he produced and directed three shows. Also a poet, fiction writer and visual artist, he holds an MFA in Writing from the School of the Art Institute, where he now teaches. Since 1979, Chicago Dramatists has been dedicated to the development and advancement of playwrights. Distinguished alumni of Chicago Dramatists include Tanya Saracho (El Nogalar, How to Get Away with Murder), Andrew Hinderaker (Colossus, Penny Dreadful), Rick Cleveland (The West Wing, Six Feet Under, Mad Men), Rebecca Gilman (Pulitzer nominee, Spinning into Butter, Luna Gale) and Keith Huff (A Steady Rain, House of Cards) among others. Chicago Dramatists nurtures playwrights, develops new plays, and enriches the national theatre repertory through originality, connectivity, harmony, vibrancy, and collaboration. The Grafting Project at Chicago Dramatists promotes resident playwrights while collaborating with peer organizations. Founded in 2000, the side project connects Chicago’s most innovative and engaging writers, directors, designers, and performers in an ongoing exploration of the power of hyper-intimate theatre. 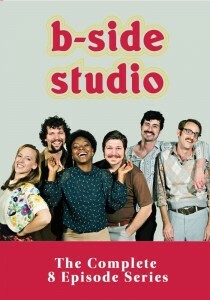 Over its 16-year history, the side project has presented more than 80 productions, including 60 full-length plays (featuring 40 world premieres, five of which were subsequently published); 15 one-act festivals (featuring 100 plays — including 66 world premieres); 36 staged readings; and four sketch-comedy shows — through which we have showcased the work of more than 800 actors, 75 writers, 50 directors and 75 designers, some on multiple occasions and in different world premiere situations. For its work, the side project received the 2006 Spirit of Rogers Park Award and the 2009 Broadway in Chicago Emerging Theatre Award, and Artistic Director Adam Webster was named one of PerformInk’s “Top 25 Artists Making a Difference” (2004) and New City’s “Top 50 Artists Making Chicago Theatre Work” (2009).